In Arizona, drug crime penalties will vary depending on the classification of the drug. There are particular drugs which are considered "dangerous drugs" and these carry heavier penalties upon a conviction for possession, sale, distribution, transportation, or manufacturing. Examples of dangerous drugs include: methamphetamine (meth), PCP, ecstasy, LSD and anabolic steroids. Simple possession of a dangerous drug may be charged as a class 2 felony, punishable by 4 to 10 years in prison, depending on the particular circumstances of the offense. Possession of methamphetamine for sale may be punishable by 5 to 15 years in prison, and enhanced penalties may be imposed if the offense occurs within a certain distance of school grounds or if the defendant has prior convictions of this kind. 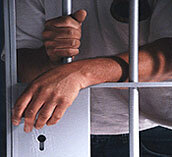 Contacting an Arizona drug lawyer is one of the most important steps you can take in the face of drug charges. Even if you think you are "only" under investigation for a dangerous drug crime, you may be at risk of facing criminal charges at any moment, and these may lead to a conviction and years of imprisonment. It is important that you contact an experienced and aggressive Phoenix drug crime attorney immediately. Call James Novak for Your Free Consultation with an Criminal Defense Attorney. 480-413-1499. Due to the classification of dangerous drugs, possession, sale or distribution of any amount of these will result in class 2 felony charges. It does not matter if you have a clean record or if the amount was seemingly negligible. This is why it is crucial to involve a lawyer as soon as possible. Contact an Arizona Dangerous Drug Crime Attorney At the Law Office of James Novak, we have the resources and the experience to help you face your dangerous drug crime charges. We can investigate all aspects of your case, challenge issues as an unreasonable search and seizure or other constitutional rights violation. 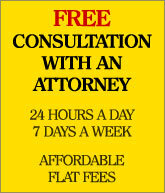 Our firm takes on cases throughout Phoenix, Tempe, Scottsdale, Chandler, Mesa, Gilbert, Maricopa County, valley-wide. We offer a free initial consultation to help you get started. 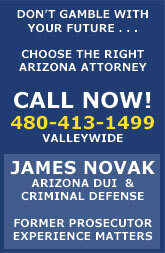 Contact Phoenix dangerous drug crime lawyer James Novak today for your free consultation.